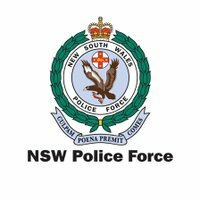 Lake Macquarie police are investigating a significant spate of thefts from cars parked outside homes in the past 24 hours. These have included cars at Morisset, Morisset Park, Brightwaters and Toronto. Please use commonsense and don't leave wallets, bags, computers, phones, tools and other valuables in cars, even if the car is parked in your driveway. Police are quite dumbfounded by the number of people who leave their cars unlocked with valuables inside and in full view of opportunistic thieves, and so am I to be honest!